Related people: Claus Hviid Christensen. Emulsifiers in food products have been garnering a lot of attention of late – not all of it good. As the world transitions to conscious consumerism, the impact of synthetic ingredients and the sourcing of palm oil are under the spotlight. However, anyone in the business of food manufacturing will understand the bearing of applying edible emulsifiers has on the overall quality and freshness of products. As such, in recent years, sustainable and plant-based emulsifiers have continued to garner attention and grow in usage, something which recent report ‘Edible Emulsifier Market: Forecast 2018-2023’ from Transparency Market Research described as an attractive trend paving way for exciting opportunities for numerous food manufacturers to capitalise on. Companies such as the Kerry Group, for example, provide the largest selection of non-GMO and non-PHO emulsifiers across the globe, and obtain RSPO-certified sustainable palm oil, which promotes the production of palm oil with greater consideration of its environmental and social impacts. At the same time, market reports indicate that food emulsifier manufacturers are observing an increased demand from manufacturers to preserve the taste, appearance, freshness and texture of their food items. The ever-growing trend of clean label, the requirement of local authorities, the prices of raw materials and the sustainability movement means that producers of emulsifiers are under more pressure than ever before. One company that continues to overcome these challenges is emulsifier and stabiliser manufacturer Palsgaard A/S, currently the world’s only commercial source of fully sustainable emulsifiers based on RSPO SG certified palm oil and produced by CO2-neutral factories. Not only are the ingredients at RSPO SG level for key raw materials, but Palsgaard dives even deeper into its supply chain, identifying everything sourced from suppliers, such as fatty acids or antioxidants, that may involve non-sustainable palm materials. 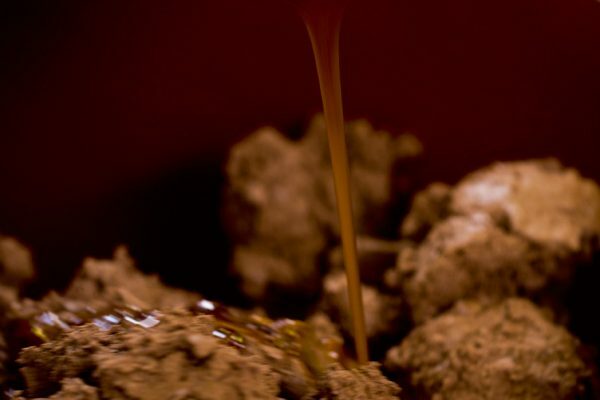 A good example of Palsgaard’s innovations is its cake emulsifier SA 6615, which the company claims is the world’s first palm-free emulsifier in powder form for industrial cakes that’s produced in a CO2-neutral factory. The latest addition to the Palsgaard SA series of activated industrial cake emulsifiers is made using the company’s patented extrusion technique, and offers numerous benefits including a shelf life that surpasses that of cake gels, fast aeration of the batter, clean label, convenience, stability and flexibility. The launch of this ingredient at the tail end of 2017 was the response to just one type of customer demand, introduced around the same time that Palsgaard became the enabler of an industry online platform aimed at inspiring and sharing expert knowledge to help the industry realise the full potential of sustainably sourced emulsifiers. In the company’s 2019 update on the initiative, the Emulsifiers for Good blog is proving to be a favourite among its targeted readers, showing the interest from the industry over such topics to reflect future progress. And that doesn’t come as a surprise to CEO of Palsgaard’s innovation center Nexus A/S, Claus Hviid Christensen. “Sustainable, plant-based emulsifiers are getting a lot of attention these days,” he said. “In fact, there’s an understanding emerging in the food industry that sustainably sourced and produced emulsifiers are going to be one of our greatest tools for ensuring there’s enough, good-quality food supply in the face of climate change, population growth, and increasing affluence. Although there’s no one-size-fits-all approach when it comes to clean label requirements and purchasing behaviours, the key connecting factor across the world is the significance of understanding what the modern consumer wants, out of which a definite number of standards have been established. According to a recent Innova Market Insights trends forecast, sustainability, transparency and health will continue to drive the food market in 2019. When it comes to label-friendly emulsifiers, Cargill is another company that is meeting demand. As well as rolling out measurable initiatives and long-term strategies to integrate environmentally sustainable operations into its business – including a commitment to building a 100% transparent, traceable and sustainable palm supply chain by 2020 – the company recently introduced a new range of de-oiled lecithin products to complete its portfolio of GMO and non-GMO lecithin products. A first to the market in Europe, Cargill’s de-oiled rapeseed lecithin products help bakery and snacks manufacturers deliver the recognisable ingredient label that consumers want. 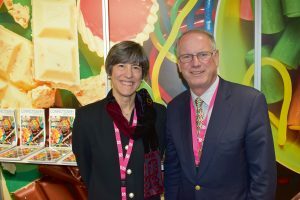 “In a world of increasingly label-conscious consumers, we are striving to meet demand for simple ingredients and provide the familiarity consumers are looking for related to food origin from trusted, reliable sources,” explained Dr. Roland Rabeler, lecithin product manager for Cargill Starches, Sweeteners and Texturisers. One of the most effective and widely used emulsifiers in the food industry are monoglycerides, yet they can become lumpy under certain conditions. As such, many food manufacturers face a challenge with product flowability when using powdered, inhomogeneous emulsifiers. This led DuPont Nutrition & Health to develop the unique beaded format of Dimodan HP 90-M – a homogenous emulsifier that enhances food manufacturers’ productivity. “Standard monoglyceride emulsifiers come in a fine, powdered format with inhomogeneous particles that ultimately cause lumps and flow-related issues,” said Sun Ligong, regional product manager. This new format delivers the same functionalities and quality as existing monoglyceride emulsifiers and can be used in various applications including margarine, non-dairy creamers, whipping gels and many more applications. 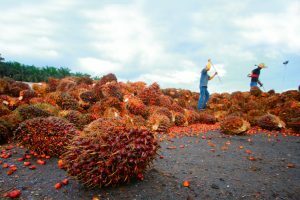 What’s more, DuPont is another company which switched to 100% RSPO-certified sustainable palm oil and palm oil derivatives used in its global emulsifier production, meaning the new emulsifier beads are sustainably sourced. As discussed, understanding what the modern consumer wants is the most important aspect in the entire production process. 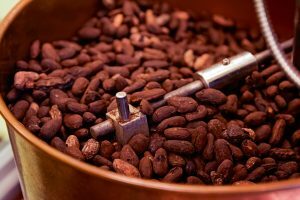 Taking into consideration what suits the product but also the customers’ needs in an industry that continues to focus on familiar ingredients, transparent supply chains and sustainably sourced inclusions, emulsifier suppliers continue to innovate and update to suit specific requirements.